To start, I want to pose this question here: if I am doing ethnographic research about smart cities, in smart cities, and with the people who are shaping smart cities, does this make what I do ‘smart city ethnography’? Although it may sound a little contrary – especially coming from an ethnographer writing on an ethnography blog – my answer is no. Smart cities. They are touted as the best incarnation of alternative urban futures which promise to make our way of living more sustainable, more productive, and maybe even happier. Since this is the subject of my doctoral research I have read no end of texts about these new visions of future living. I’ve realised that smart cities are usually described according to a formula: the city is facing X, Y and Z problems… but we have technologies A, B and C. Deploy technology A, B or C (singularly or in combination) and problem X, Y and Z will be solved. ‘The smart city brings a happy ending for all!’ But… hang on for just a second, will this solution-driven future truly make people happy? 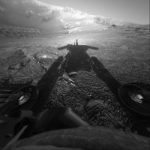 Do people care about the technologies themselves? Before these questions can be addressed, we need to ask whether people even know about the term ‘smart city’? Not to mention what meaning this frequently uttered notion really encodes. 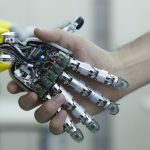 Do citizens know that a smart city future that has been picked for them and is already on its way? Myself and two other HighWirees (Vanessa Thomas and Louise Mullagh) presented our paper Where’s Wally? In Search of Citizen Perspectives on the Smart City at the 8th International Forum on Urbanism conference which was hosted in Songdo in South Korea. Songdo is one of a handful of new smart cities that were designed as such from the outset (whether the only way to make a smart city is to start as a smart city is another debate). I was curious, thrilled and psyched to see Songdo after reading so much about it. As an ethnographer (or, just ‘a person’ as Dhruv might say), I always observe and interpret the situations on my own terms. 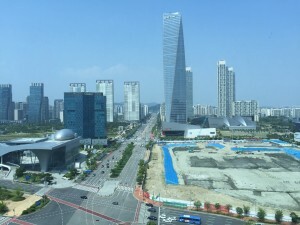 Visiting Songdon was no exception and in this case I had no words to describe it – I can summarise that many aspects of Songdo are not so ‘smart’ afterall. The view looking from one of the luxury hotels to the conference centre on the right hand side. The roads are wide…. but maybe a bit too wide, which makes crossing the road for pedestrians a daily challenge. It is clean, almost spotlessly clean – just as we would expect for our future city. 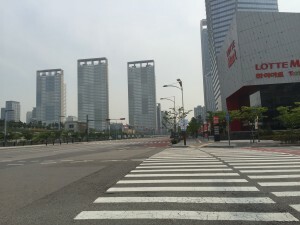 But just as the dirt of New York or London are somewhat unavoidable, in Songdo it is the lack of people that is unavoidable. Walking around in Songdo, it is extremely difficult to recognise the city as a lived space! It is grand, with five luxury hotels occupying the four corners of a main junction. This reminded me of the ‘four banks’ in Chorlton, Manchester, one of the most bustling areas of one of Manchester’s most fashionable suburbs. But what was notable in Songdo was the ubiquitous lack of bustle, even at this epic crossroads of hostelry. Tellingly, the majority of the hotel rooms were empty; the rooms were almost exclusively occupied by people who were there for the urbanism conference. All these observations made me wonder about the disparity between the multi-billion dollar investment that was put into building this smart city, and the fact that there aren’t many people living in it. Nobody uses it, or appreciates it, or makes it their own. What’s a smart city without anyone living there? This makes me pause to consider what qualities we want from our future smart cities. One of the giant crossing challenges walking from the hotel to the conference centre. After Songdo, my quest to understand the smart city continued, albeit in a slightly different manner. Given the absence of a true ‘smart city’ I again turned to my training in ethnography to conduct a study of the people who are behind the scenes in the smart city movement. Those people who influence the the creation, production, and conversations about smart cities. 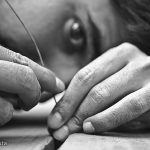 What kind of future are they crafting for us, and how? My time studying design ethnography (as with Dhruv, I too was once in Dr Catriona Macaulay’s ‘gang’ at Dundee) left me with a great treasure: how to see the world through an ethnographic lens and an appreciation for this approach to unpacking and interpreting the world. The curiosity to question why; the appreciation of multi-disciplinarity; the compassion of having people at the heart of matters (there’s that word again). This seems to be very resonant with how HighWire encourages its students to do research, having a concern for all the factors above, and more as well. In HighWire, we are trained to listen, to question, and perhaps most importantly, to care. While writing this piece, I came to realise that maybe the greatest finding of my ethnographic inquiry is not about smart cities themselves, or about the people in the so-called smart cities, or about the people making the decisions about the so-called smart cities. Rather, my most profound finding is about me; my empathic ability, curiosity, and identity. As for whether smart city ethnography is a thing or not, quite frankly, it doesn’t matter. Whether we get to label what we’re doing as ethnography or not, is neither here nor there; what matters are the human-centric principles and value propositions behind how we conduct research, and ultimately produce insights. It is those principles, that were so obviously missing from Songdo, and seem to be missing from smart city rhetoric full stop. Ethnography is a helpful way of framing and understanding the kind of researcher that I want to be, but in the end the labels we use just serve as a communication aid. With all that said, the reason why I began this blog post by quoting the Hitchhiker’s Guide to Galaxy is that I still have an ambition. 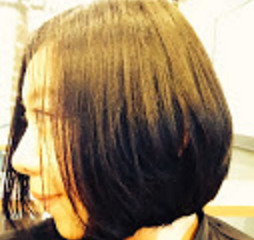 That ambition is to make my work some sort of guide to the smart city world. My passion for ethnographic work and my current immersion at the HighWire centre have something in common: to put people at the heart of things. This is precisely what I am hoping that those who influence the smart city agenda will also do one day (and what is so starkly missing from smart cities like Songdo). I would like this blog to leave you with two things. 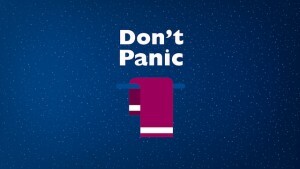 The first is perhaps the most famous sentiment to come out of Hitchhiker’s Guide to the Galaxy: Don’t Panic. Thanks to audiencestack.com for the “Don’t Panic” image. And second is to keep people at the heart of what you’re doing… whatever it is. Home is where the heart is, and cities are our homes: so a truly smart city is the one whose heart is defined not by technology but the people who live there. Have you heard of Naypyitaw in Myanmar? Another big, new city, with a lack of “bussle”.